Hit ’n Miss List is a new online feature where you’ll find what we feel are the hits and misses of a new bike after we ride it at its press launch. 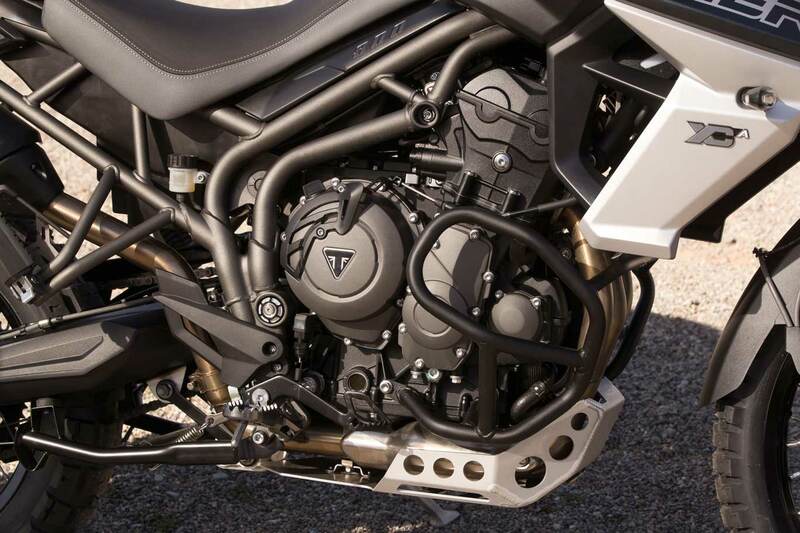 This time we look at the 2018 Triumph Tiger 800. We will, as always, follow up with a complete review in Motorcycle Mojo magazine, and don’t forget to follow us on Facebook for on-location launch reports. 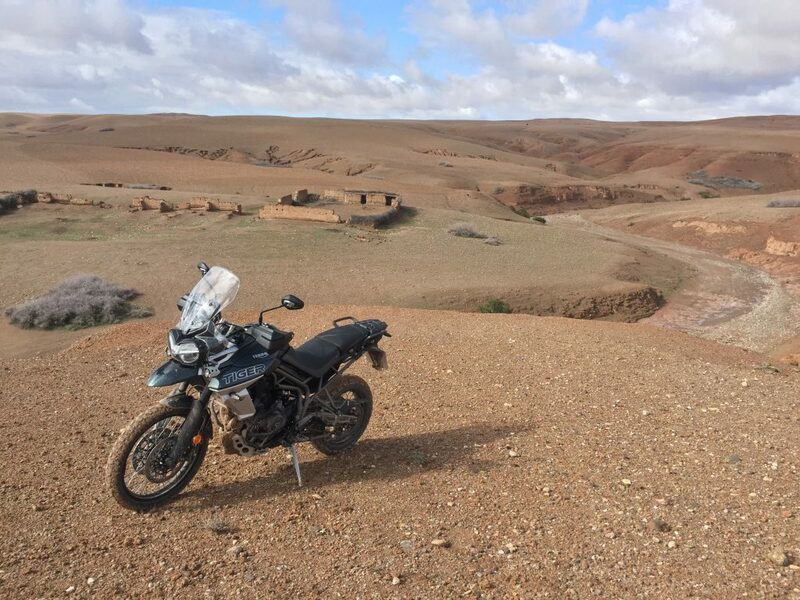 We were invited to Morocco to ride the 2018 Tiger 800 XR and XC models, where rain and cold threatened the ride. It all worked out well, however, because aside from some slick spots, the rain actually improved traction on the sandy terrain. Engine revisions improve low-end power, and a smaller, lighter muffler improves sound. Hit – Improved 800 cc inline triple produces 94 hp with a very flat spread of torque that peaks at 58 lb.-ft. The engine is smooth and throttle response is excellent regardless of which ride mode is selected. Hit – A lower first-gear ratio improves low-speed rideability when negotiating tighter off-road sections or climbing steep hills. Gear changes are remarkably light up or down the ratios. Hit – Improved riding position is very relaxed, as the handlebar is tall and has been moved rearward by 10 mm, easily accommodating a six-foot-tall rider when standing on the footpegs while riding off road. The seat is easily adjustable to two positions over a 20 mm range. There are up to six ride modes, including the all-new Off-Road Pro. Miss – Ride-mode selection requires too many steps. 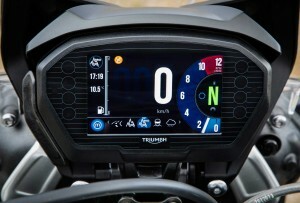 You must push one button to scroll through up to six ride modes, use another button to select, and then confirm your selection by closing the throttle and pulling in the clutch lever. Hit – The windscreen on the mid- and top-trim Tiger 800s is adjustable manually to five positions, and can be set easily with one hand. Hit – Added aero deflectors combine with the adjustable windscreen to offer excellent wind protection. Miss – Off-road ride modes can only be selected while stopped, so if the terrain changes constantly from dirt to pavement, you must stop every time you want to switch between road and off-road modes. All road modes are selectable while riding. 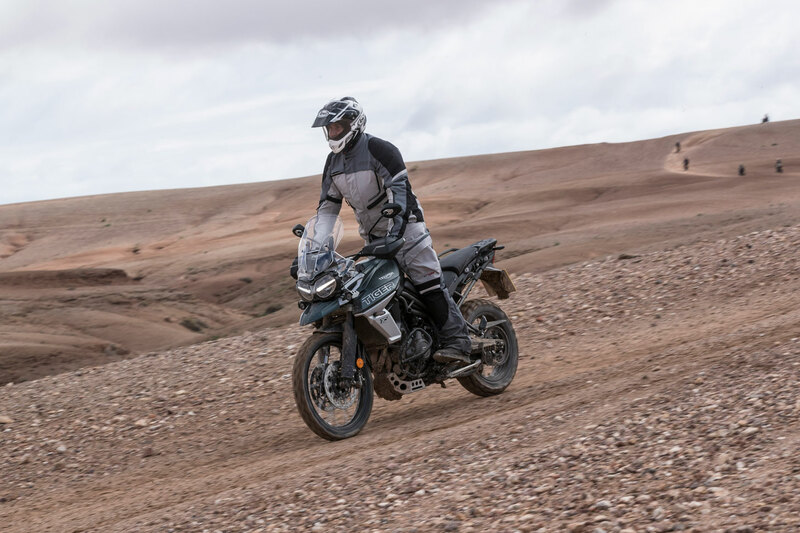 More than 200 changes to the 2018 Triumph Tiger 800 improve its off-road capability. 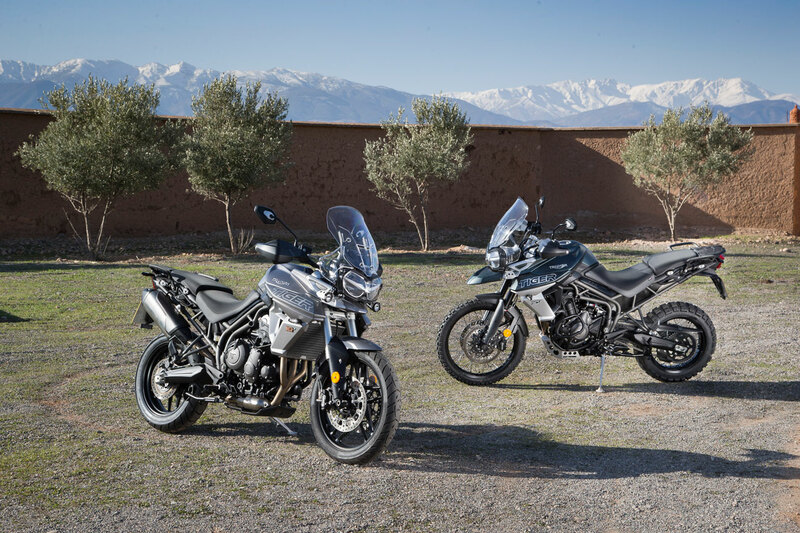 Hit – All but the base model Tiger 800 XR come with heated grips, and the top-level XRT and XCA also get heated rider and passenger seats. Miss – There is no available electronic quick-shift system. 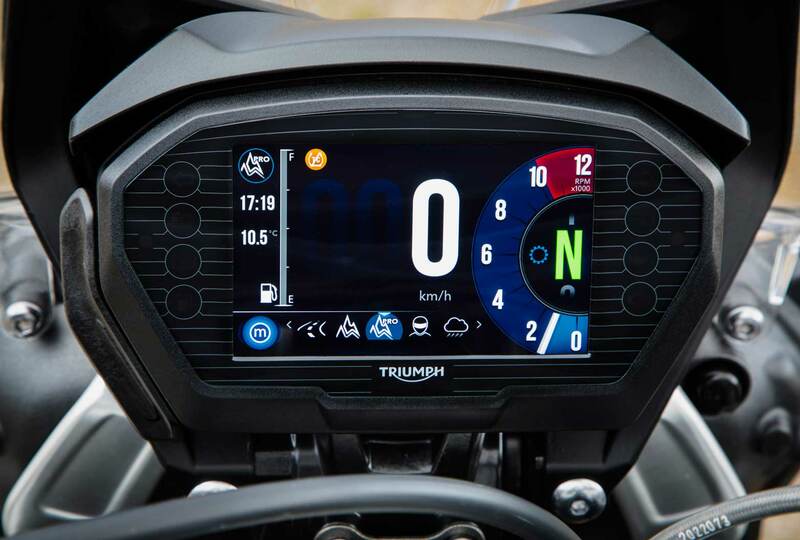 Systems like this have proven convenient on and off pavement, relieving the rider of using the clutch on up- and downshifts when the going gets a bit rough. Hit – A 12-volt power socket and 5-volt USB port are standard across the range. ABS and traction control are also standard. Hit – Aggressive Pirelli Scorpion Rally tires are now approved and available on the XC models for riders who plan serious off-road excursions; they work very well on hard and soft terrain. Hit – More than 200 changes to the 2018 Triumph Tiger 800 have improved it on the road and off, and made what was already a serious adventure-bike contender even better. Prices range from $13,500 for the base XR model, to $18,550 for the top-of-the-line XCA. 2018 Triumph Tiger 800 XRT on left, Tiger 800 XCA on right.